We set out with a goal of creating a comfortable yet visually minimal lounge which took advantage of 3D ply. In our shop, we created prototype seat shells in cardboard, foam, and fiberglass to get the form, overall proportion, and comfort perfected. The result of fine tuning these mock-ups was a wide sweeping curved seat with waterfall edges, a design we could not have achieved with traditional ply molding methods. 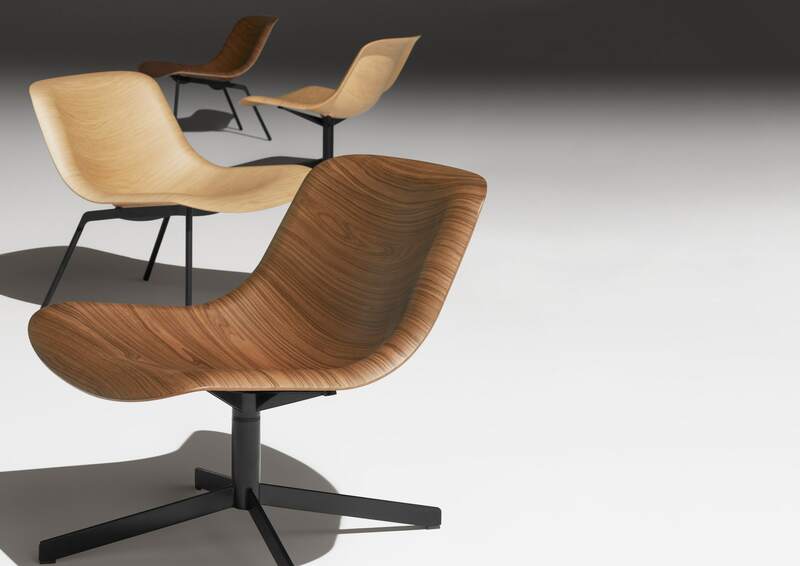 Restricting Nonesuch to wood and steel ensured that the shape of the seat remained the focus. This meant that our design’s base required a minimalist’s restraint. 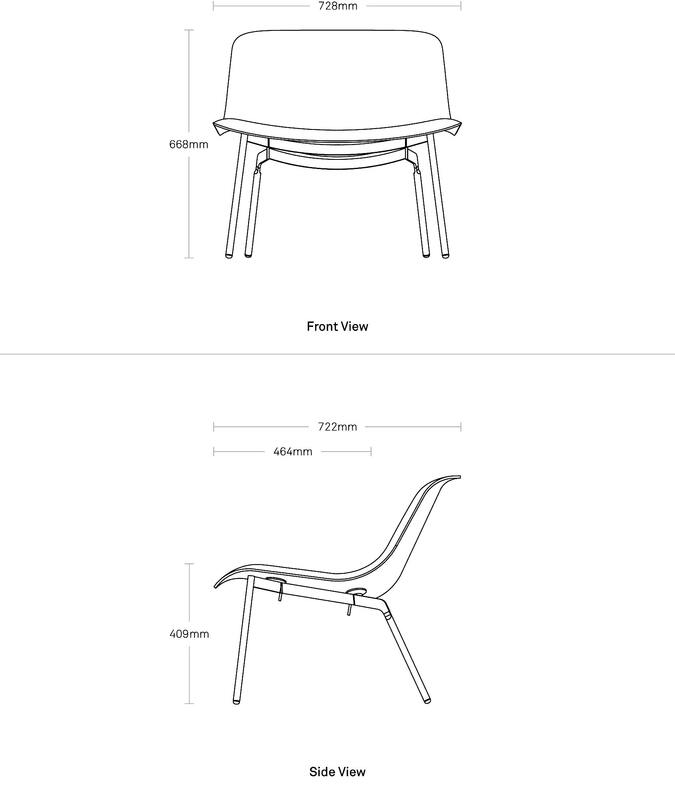 In that process, two base designs emerged—one stationary, and the other a more contract friendly swivel.